A quick view of the most influential metrics in Ukrainian Village. Ukranian Village - First settled by immigrants from Poland, the Ukrainian Village now maintains a close knit Ukrainian identity. This West Town community area is located north of Grand Avenue and houses magnificent Catholic churches including St. Nicholas Ukrainian Catholic Cathedral and Saints Volodymyr and Olha Ukrainian Catholic Parish in Chicago. 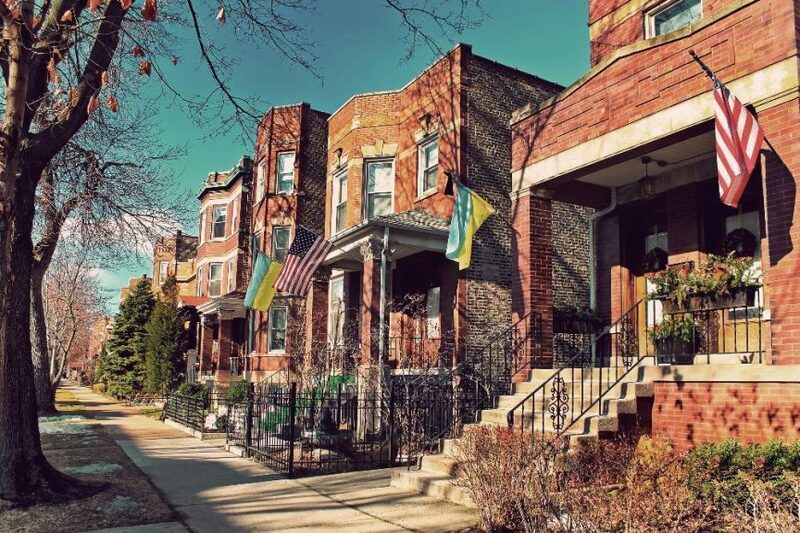 The Ukrainian Village District is now an official Chicago landmark district, only one of the advantages to the residence in the area. The architecture of the single-family home centered neighborhoods harken back to cultural Ukrainian nationalism, with some of the buildings designed by famous architect Louis Sullivan. Property listings for Ukrainian Village. Market analysis data for Ukrainian Village. This part contains all educational institutions in Ukrainian Village. Browse through the top rated businesses in the most popular categories Ukrainian Village has to offer.